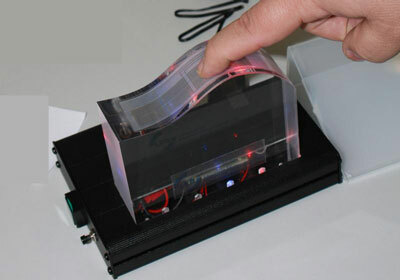 A new kind of information processing technology inspired by chemical processes in living systems is being developed by researchers at the University of Southampton. 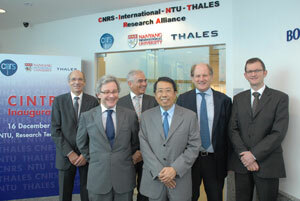 Nanyang Technical University, the National Centre of Scientific Research and the Thales Group of Companies inked a Memorandum of Understanding to establish the CNRS International-NTU-Thales Research Alliance (CINTRA) Laboratory - a state-of-the-art research facility focused on developing nanotechnologies for defence and commercial applications. 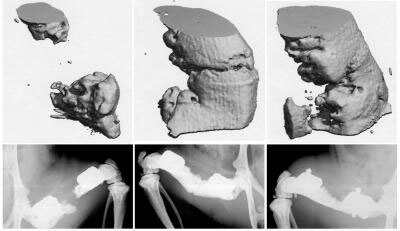 A study published this week reinforces the potential value of stem cells in repairing major injuries involving the loss of bone structure. 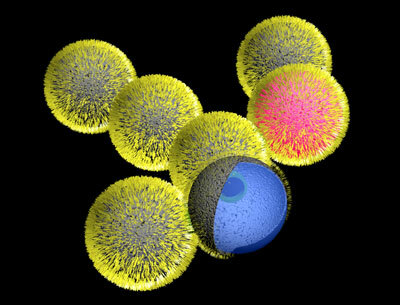 In addition to periodic superlattices, binary mixtures of nearly spherical nanoparticles could lead to the growth of quasi-crystals. The University of Maryland has been awarded $10.3 million in stimulus funds by the U.S. Commerce Department's National Institute of Standards and Technology (NIST) to build an advanced quantum science lab. 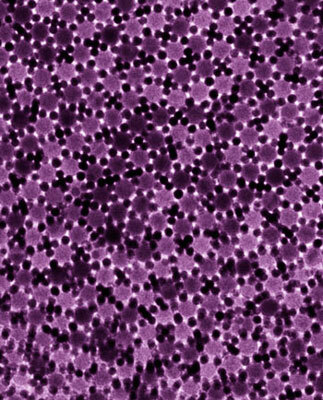 Scientists at Argonne National Laboratory have discovered a new route to transform the structure of porous materials at industrially-accessible, high pressures. Forscher haben gezeigt, dass Riesenatome unter bestimmten Umstaenden ohne grosse Stoerung in kleinsten Mikroglaszellen eingesperrt und beobachtet werden koennen. The world took a big step closer today to a green and more sustainable communications future with the launch of Green Touch, a global consortium organized by Bell Labs whose goal is to create the technologies needed to make communications networks 1000 times more energy efficient than they are today. Die umweltfreundliche Herstellung ausreichender Mengen Wasserstoffs beschaeftigt die Forschung seit langem. Als mikroskopisch kleine Fabrik steht dabei die Gruenalge Chlamydomonas reinhardtii im Mittelpunkt, die unter Stress Wasserstoff bilden kann. Bochumer Biologen ist es jetzt gelungen, die dafuer verantwortlichen Bestandteile der Alge zu isolieren und die Produktion ins Reagenzglas zu verlegen. 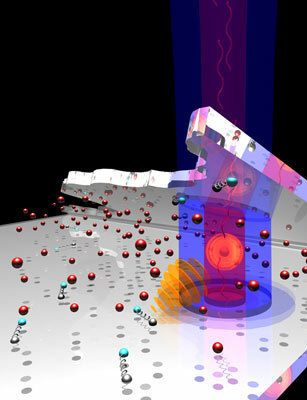 For the first time, physicists have convincingly demonstrated that physically separated particles in solid-state devices can be quantum-mechanically entangled. 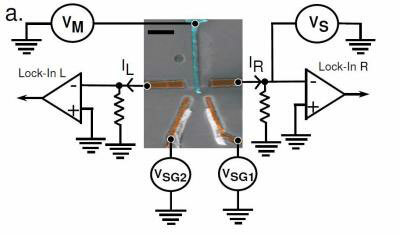 The achievement is analogous to the quantum entanglement of light, except that it involves particles in circuitry instead of photons in optical systems. Die Ausbildung von ueberdurchschnittlich qualifizierten jungen Ingenieuren und Ingenieurinnen im Graduiertenkolleg 'Disperse Systeme fuer Elektronikanwendungen' der Uni Erlangen-Nuernberg ist bis zum Herbst 2014 gesichert. Die Deutsche Forschungsgemeinschaft uebernimmt die Foerderung ab April 2010 fuer weitere viereinhalb Jahre; die Foerdersumme betraegt 5,16 Millionen Euro. 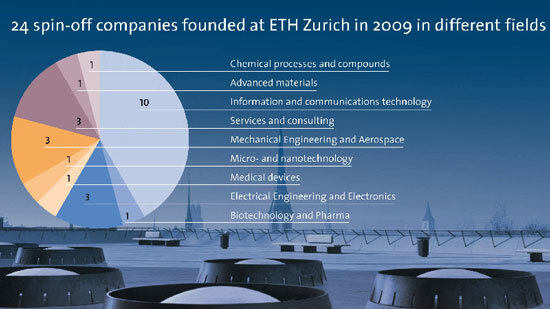 Despite the difficult economic climate, many researchers from ETH Zurich founded a company last year. The university recorded no fewer than 24 new spin-offs in 2009 - the most ever in a single year. A new version of RTDNEGF (1.3.2) has been recently deployed on the nanoHUB website. 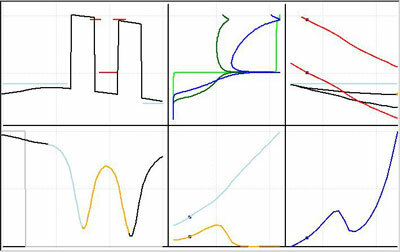 RTDNEGF is a simulator for Resonant Tunneling Diodes (RTD) that implements the Non Equilibrium Green Formalism (NEGF) as its principal computational model. Los Alamos National Laboratory has identified the Top 10 Laboratory science stories of 2009 based on global viewership of online media content and major programmatic milestones.